The actor donned formal wear and is looking stylish sitting on the police Jeep. But the poster stirred a new controversy. Popular activist, Dr. Anbumani Ramadoss's father and PMK party leader Dr. S. Ramadoss came up to criticize the first look poster of Vishal's 'Ayogya'. In the poster, the Vishal is seen with a beer bottle in his hand. Dr. Ramadoss took to his social media to make his comments. 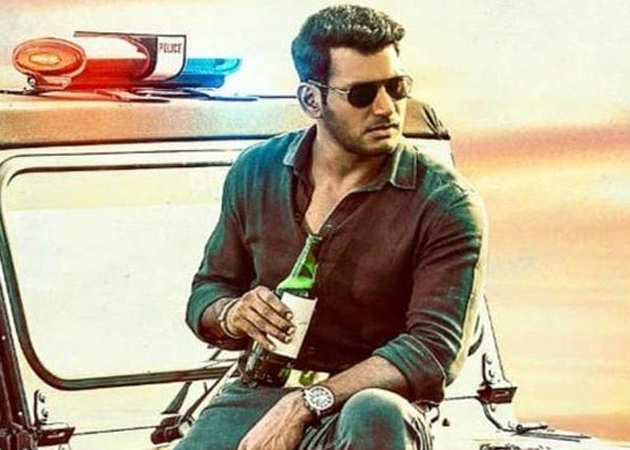 "The promo posters of Vishal film Ayogya featuring him with beer bottles should be removed immediately. What's Vishal trying to imply through this poster? Being the secretary of Nadigar Sangam, I expect some kind of social responsibility from him". Posted Ramadoss. He also added "I had earlier written to Vishal in his capacity as Nadigar Sangam secretary to ban smoking scenes from films. Now, I see him going one step ahead and flaunting a beer bottle. What a way to display his social responsibility!!!" It looks like this remake film of Jr NTR is bringing a lot of problems and head-ache to Vishal. Hope the controversy ends soon! Not Kisses, Content Matters For Success!